Step into a chilly October, the Upper Modern Bistro will be holding a very special weekend (Friday 16th – Sunday 18th October), with cheese in order to celebrate its 2nd Anniversary. Chef Philippe Orrico is thrilled to be celebrating Upper Modern Bistro’s second year of success in Hong Kong, as well as the launch of his restaurant group: Nomad Dining. Upper Modern Bistro received its first Michelin Star in 2014, and remains the only bistro in Hong Kong to receive the prestigious award. 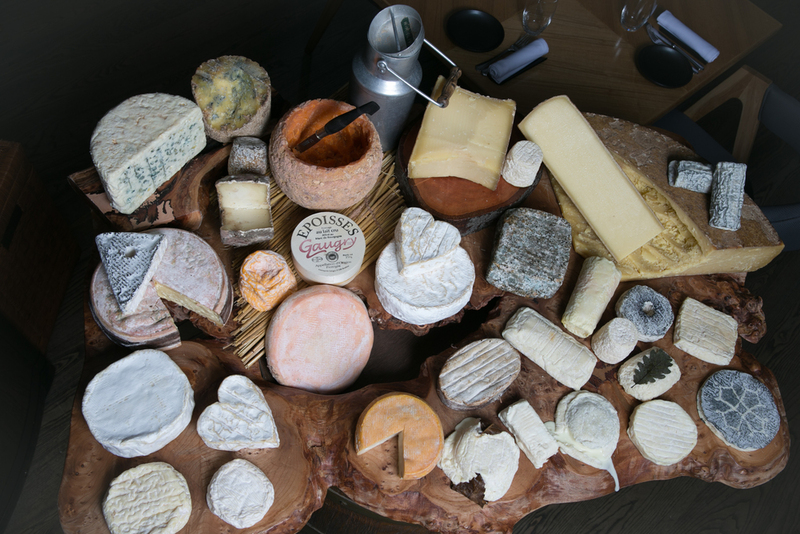 Philippe and his team will host the weekend cheese festival at the restaurant annually to mark the anniversary. Traditional Cheese Market with surprises to delight all cheese lovers island- wide. On Sundry 18th October, guests will be able to indulge in over 60 kinds of different cheeses from “Les Frères Marchand”, available to both taste and purchase. Cheese Workshop with expert Jeremy Evrard, Patrice Marchand and Nicolas Deneux. Cheese Degustation - On Saturday 17th October, the renowned cheese master Patrice Marchand will make a special appearance at Upper Modern Bistro to introduce his new “Cheese degustation”, including La Bouyguette from Tarn, France, which is a soft, uncooked and unpasteurized goat milk cheese, with a tender, creamy and herby flavour. Gourmet Cheese Dinners - Chefs Philippe & Renaud will prepare two sumptuousCheese Dinners featuring modern and traditional dishes paired with “Single Malt & cheese dinner” on Friday 16th October, “Out of the box pairing dinner” on Saturday 17th October. Cheese Brunch - available on Saturday 17th and Sunday 18th October with a glass of champagne. Cheese Party Finale to close the weekend. Guests can spend time with Patrice, Philippe, Jeremy, Nicolas, Giancarlo and Grégoire at a relaxing cheese party which will feature a few surprises! Patrice Marchand will also introduce “The Gourmet Cheese Club” for the first time in Hong Kong. Address: G/F, 6-14 Upper Station Street, Sheung Wan, Hong Kong.